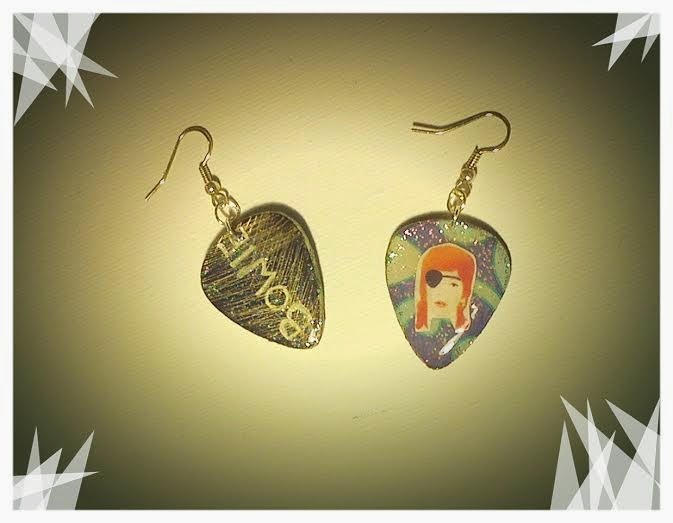 David Bowie guitar pick earrings available! Hand made double sided guitar pick pendants featuring "BOWIE" written on a Scratch Magic Board on the back. The front side has a music note on one earring and a Halloween Jack David Bowie illustration I made! 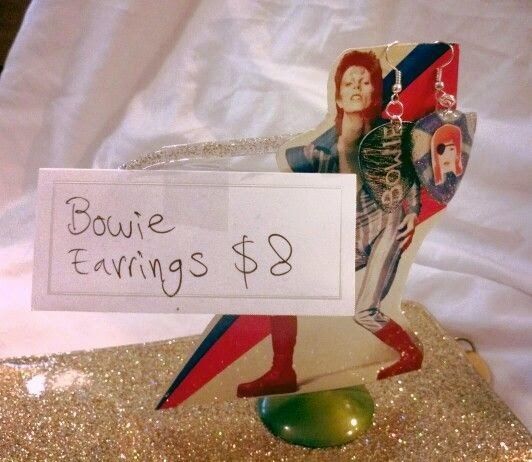 This is my only pair of Bowie earrings at this time--so snag them before they're gone!